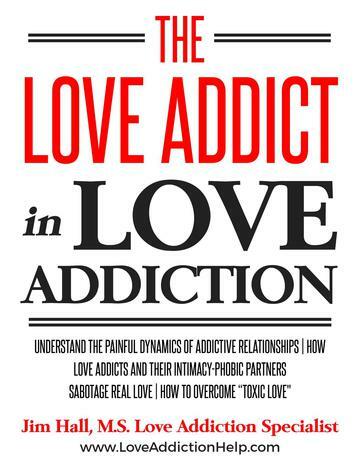 to help you successfully overcome addictive loving. � 2010-2019 Love Addiction Recovery Solutions, Jim Hall MS. All rights reserved. DISCLAIMER: Information on this website is for informational purposes only and is not a substitute for advice provided by your physician psychological or mental health professionals (including but not limited to articles, advice, products, services, programs, videos, newsletters, etc.). This site is not for diagnosing or treating any psychological, medical, or disease-related problems. Information and the use of any purchased services or products on this website by you DOES NOT create a doctor-patient relationship between you and any consultant, advisor, or counselor affiliated with this website.